Last Thursday, I came home and saw these goodies. I initially thought it was a sweet treat but after having a bite I was surprised it was savoury. If I knew before hand that it was not sweet I might not try it as I don’t like savoury muffins but I guess I was thankful that I had tried it as I will not know that it will taste really good, I guess it’s the cheese and roasted capsicum combination. So since then this was my breakfast for the next 3 days, I really enjoyed it especially with a melting butter. I love this recipe – great combination of ingredients and would make for a wonderful lunch. I have a larger vegetable quiche recipe with a very very similar ingredient list, (more egg, less flour) so I know that these would taste great… I’ve never tried mine as muffins though.. now THAT”s a yummy thought! I had to Google capsicum…these look so soft and yummy. I would love to have one for breakfast each morning. Lucky you. Mmm, sounds like it would be really good with a bowl of soup or even converted into a cornbread…and of course, needs butter. Omg…LOVE this recipe. I have to try it! 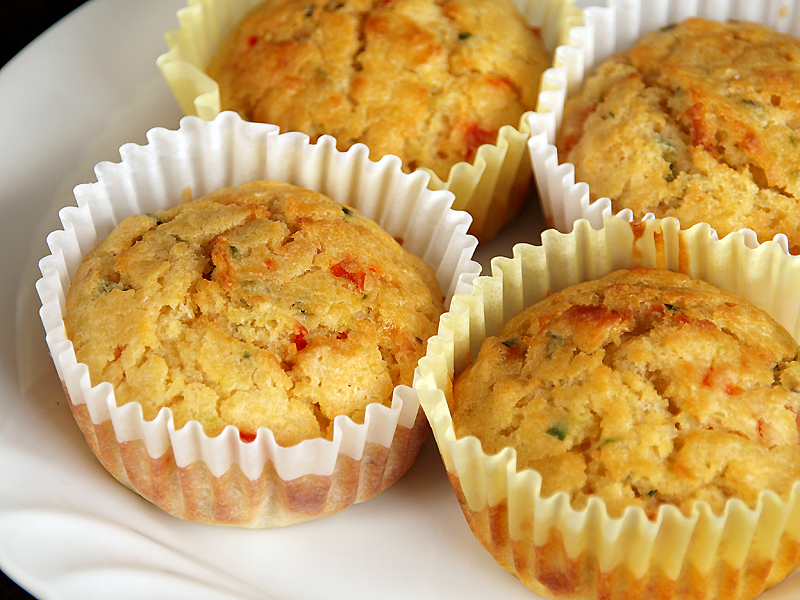 I am a huge fan of savory muffins… these look great! Is tasty cheese: sharp cheddar cheese?